Tesla was down… aaannnndddd then it was back up. The deal between Elon Musk and the SEC left investors delighted, and the stock recovered all of its 17% loss from Friday. Not too shabby for a deal that required Musk to step down as chairman and pay a $20 million fine. The deal also cost Tesla… another $20 million, separate of the initial fine, to settle claims that the company failed to adequately police Musk’s tweet. If you recall, all of this mess came from Musk’s “false and misleading statements” to investors over Twitter. But Tesla isn’t done yet… because the company is preparing to release its third-quarter production numbers. These productions numbers will allow us to see if Tesla can produce 5,000 Model 3 cars in a week, a milestone the company hit in the second quarter. And now we get to see if the company can replicate those results. Never a dull day for Elon Musk or Tesla..
Ryanair has hit turbulence… and the company just slashed its profit forecast for its fiscal year to between $1.39 billion and $1.27 billion. These figures fall about $174 million short of what the company had initially anticipated. The reason? Two things: employee strikes and flight cancellations. 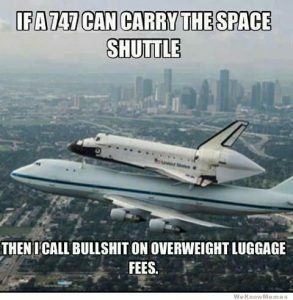 Both these factors have led to reduced bookings and lower fare prices. Fuel costs haven’t helped… and shares dropped 10% and are down more than 22% on the year. However, the problem may not be with Ryanair, but rather the business model of low-cost airlines in general. Here’s the problem… it includes labor disputes, decreasing profit margins, and rising customer dissatisfaction. These issues have continued to plague Ryanair and other low-cost airlines for quite some time. Even Ryanair rival, EasyJet, has reported similar problems and gave a meek profit outlook. And the winner is… Rupert Murdoch, the executive chairman of Fox, who made $49.2 million over the latest fiscal year. That multi-million dollar figure gives Murdoch an addition $20 million compared to last year. Oh, and as for his children… both of them made about $50 million each (they’re adults now, okay?). It is probably worth noting the sudden influx of cash for the entire Murdoch family has come in the form of “stock awards.” And a government filing with the SEC makes it clear that these awards were related to Disney’s purchase of the company. I know they’re rich… but it’s still well-deserved given that Fox’s stock price jumped 75% in the 2018 fiscal year. And the Murdoch’s didn’t sell everything – the “new” Fox will still retain Fox News, Fox Business Network, Fox Broadcasting, and the FS1 and FS2 cable networks. Introducing IGs new fearless leader… it is Adam Mosseri, and he will head Instagram effective immediately. The switch coming directly after Kevin Systrom and Mike Krieger, the app’s founders, announced that they were leaving the company. A little about Mosseri… he joined Facebook in 2008 and held various roles at the company. Mosseri has been the head of News Feed and design director of Facebook’s mobile apps. Now, Mosseri will need to hire a new team, including a leader of engineering, product, and operations. As for the old leaders… meaning Systrom and Krieger, their plans are up in the air. Also, the sudden move remains a mystery. Both founders stayed at the helm of their company for six-years following being acquired by Facebook. We’ll see if more details come to light in the coming days – but for now, let’s welcome Adam Mosseri, who is now responsible for your beloved Instagram…. Well, that was fast… Tesla CEO Elon Musk has agreed to step down as chairman of his company and pay a hefty $20 million fine to settle charges brought last week regarding his reckless tweets. But don’t fret – Musk will remain CEO of the company. For the record, Musk accepted the deal without “admitting or denying” the accusations against him. The money will go to… investors that were harmed by the tweet (so people shorting Tesla). Tesla will also appoint two new independent directors to its board to help oversee Musk’s communications. Yes, they will be watching him. And honestly, the result isn’t as bad as it could have been. From a struggling smartphone company… to an up-and-coming cybersecurity company. BlackBerry now generates over 90% of its revenue from software and services. Even better, 81% of its sales a recurring which means they have plenty of cash flowing in. The company reported profits and sales on Friday and killed Wall Street’s expectations. The stock was up 15% following the news. Oh, and they do other things… and CEO John Chen said the company’s most significant success this quarter stemmed from the connected and autonomous car market. That business unit saw growth of 30%. And BlackBerry is working to gain more ground in the automotive market – even teaming up Chinese search engine Baidu to develop self-driving cars. 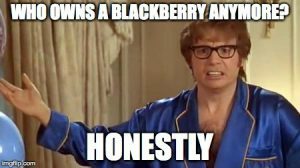 In 2016… BlackBerry stopped making phones and outsourced the production of devices with the BlackBerry name still attached. And now, the company is all-in on software. The switch from phones to software has the company’s stock up over 60%. Not bad for a company we all thought had died a long time ago! JCPenney: No CEO, no CFO, no problemo! We’ve talked about JCPenney’s… lack of CEO and how that’s a bad thing. However, matters have gotten even worse for the company, with the CFO Jeffrey Davis leaving after just 14 months. It looks like more bad news for a company that has seen its stock drop 45% this year. On Friday… JCPenney stock dropped another 9% and is now trading at $1.60. The company also has over $4 billion in debt. The once-booming retailer has only posted a quarterly profit twice in the last four years. Most recently, the company posted a loss of $101 million and was forced to sell much of its clothing at a substantial discount. Sears is on the clearance rack… and the company is officially a “penny stock.” The company’s stock is now trading for under $1 and dropped to as low as .85 cents per share on Friday. Sears could also be delisted from the Nasdaq – but that’s a long process and won’t happen until 2019. The stock has had a brutal year, too, down 88%. Today, Sears must… prove to lenders that they can pay $134 million worth of debt due on October 15. The company is running out of time and cash. Sears market value has also fallen below $100 million. You may be too young to remember… Sears was once one of America’s largest retailers and employers. Many Americans bought mass-produced goods for the first time through a Sears catalog. However, by the early 2000s companies like Walmart began beating Sears in both price and selection. And it has been mostly downhill since.